GINO’S BREWING CO. BEERS NOW AVAILABLE! Gino’s Brewing Company proudly expands our brew pub offerings on the first floor of 500 N. LaSalle at Gino’s East River North. We’re also pleased to announce distribution of our award-winning craft beer coming soon to other Gino’s East locations, and now pouring at our Superior Street, South Loop, O’Hare Plaza, South Barrington, and Libertyville locations. Gino’s Brewing Co. is celebrating its first anniversary of pouring our small batch, house-brewed beers (since February 2015), under brewmaster Kevin McMahon. 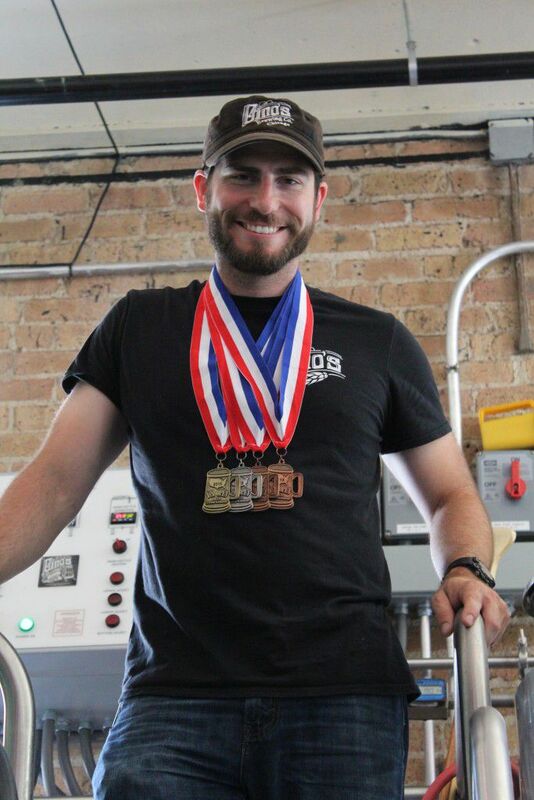 Since launching, Gino’s Brewing Co. has taken the craft beer market by storm, winning four coveted awards in the 2015 U.S. Open Beer Championship, beating out nearly 4,000 submissions to win the Gold Medal for LaSalle St. Lager in the Munchner Helles category; the Silver Medal in the Extra Special Bitter category for Broken English; the Bronze Medal for Killarney Connection in the Foreign Stout category; and the Bronze Medal for Gino’s Pale Ale in the Belgian Pale Ale category. The Gino’s Brewing Company brew pub offers Happy Hour Monday – Thursday from 2 – 6 p.m. featuring $3 Gino’s Brewing Co. pints. 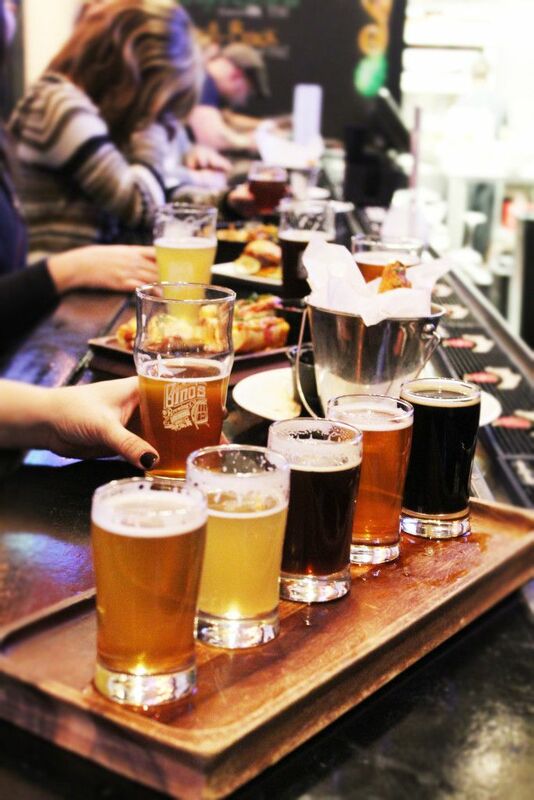 Hospitality industry members are invited to join Gino’s Brewing Co. for Industry Night to enjoy half off their tab every Tuesday from 9 p.m. – close. The Gino’s Brewing Co. brew pub joins the traditional Gino’s East pizzeria on the second floor, famous for serving Chicago-style deep-dish pizza for 50 years. Head up to the third floor to The Comedy Bar for top rated stand up comedy and entertainment, making Gino’s East River North the ultimate trifecta and the perfect place to drink, eat and laugh.